I've kept the numbered footnote references in the post. What they reference is available at the end of the lengthy document. 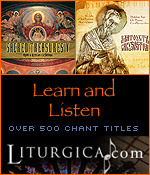 The liturgists’ most ominous assertion is their subtle note, in anticipation of popular opposition, that “adequate preparation and education” are needed not of the women to be appointed deaconesses but “of the people who will be called upon to receive, honor, and respect the deaconesses assigned to their parishes.” Clearly, they foresee the need to force clergy and laity to accept deaconesses, which is hardly trusting of the Holy Spirit or respectful of the Orthodox Church’s traditional regard for episcopal authority. It's this bit about reeducation that should prompt alarm bells for many a reader. 1 Evangelos Theodorou, et al., “Orthodox Liturgists Issued a Statement of Support for the Revival of the Order of Deaconess by the Patriarchate of Alexandria,” Panorthodox Synod, Link, Oct. 24, 2017. 2 See “Το Πατριαρχείο Αλεξανδρείας για Διακόνισσες και Αγία Σύνοδο,” Romfea, Link, Nov. 16, 2016; and, “Στην Αφρική εόρτασε τα ονομαστήρια του ο Πατριάρχης Θεόδωρος,” Romfea, Link, Feb. 18, 2017. 3 For the most in-depth study of the subject, see Aimé Georges Martimort, Deaconesses: An Historical Study, trans. K.D. Whitehead (San Francisco: Ignatius Press, 1986). For a thorough study of Orthodox deaconesses before their disappearance, see Brian Patrick Mitchell, “The Disappearing Deaconess: How the Hierarchical Ordering of the Church Doomed the Female Diaconate,” Link. 4 The “positive response” and “special way” are from the report of the Inter-Orthodox Symposium in Rhodes in 1988 titled, “The Place of the Woman in the Orthodox Church and the Question of the Ordination of Women” (Istanbul: The Ecumenical Patriarchate, 1988), which the liturgists quote approvingly. 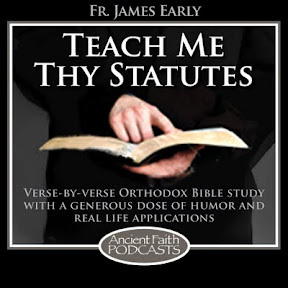 5 The minimum age for deaconesses changed several times over the years: The emperor St. Theodosius the Great set it at 60 in 390, the age the Apostle Paul set for enrolled widows in 1 Timothy 5:9, which St. Theodosius’s legislation mentioned. Canon 15 of Chalcedon lowered it to 40 in 451. St. Justinian’s Novella 6 raised it to 50 in 535, making an exception for women living in hermitages and having no contact with men. 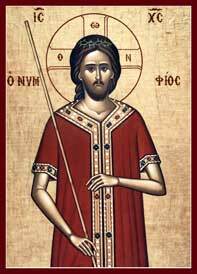 His Novella 123 lowered it to 40 again in 546, which Canon 14 of III Constantinople (in Trullo) confirmed in 692. 6 Alkiviadis Calivas and Philip Zymaris, “Ephesians 5:20-33 as the Epistle Reading for the Rite of Marriage: Appropriate or Problematic?” Public Orthodoxy, Link, accessed Nov. 4, 2017. If you can't follow the rules of Greek grammar, maybe you shouldn't. It seems, that canonical ways of solving such (non)issues is no more. Intersynodal consultations? Councils and synods? Canonical trials? Nah. Let's make an online petition! It is also interesting to see Fr. Heers found new pet subject after the Cretan council was over. And as for "eminent" clergy, there are around 5 of them. It is also interesting that over 80% of the signatories are American converts. It may mean something, maybe not. I'd number a lot more than 5, but YMMV. Also, who gives a fig about how one entered the Church? But I appreciate all the negativity. You managed to stretch it out to three chained posts which is a new record for you. One of them (Telepneff) is a schismatic. I guess anything to pad the numbers out. This is in response to another public statement, from the opposite view, which suggests that stopping at deaconesses as they once were was not the issue. 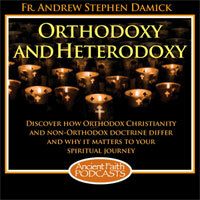 There are quite a number of cradle Orthodox signed on to it, and the number is growing, but when someone has been Orthodox for most of their life, perhaps it is time to stop dismissing what they say because they consciously embraced Orthodoxy at some point in their life... as if that was a bad thing. Not a bad thing, but when the demographics lean heavily to one particular kind of Orthodox Christian, that's of note and possibly relevant. In addition, all too often in conversations relative to reintroducing the female diaconate (and other possible changes related to the so-called culture wars) the bogeyman of Vatican II and ECUSA is thrown out as the reason why Orthodoxy shouldn't consider x. Calling an Orthodox Christian an Episcopalian as an epithet is another example, and is typically thrown out by long-term Orthodox converts who came from the Episcopal Church. It's obvious many converts experiences prior to Orthodoxy are the lens through which they view some of these Orthodox issues. Not sure "eminent clergy & theologians" is accurate for a number of the signatories, e.g., George Michalopulos. The list starts off well and then calls itself into question. Well, I guess the alternative is to say "You, good sir, lack sufficient gravitas to publicly agree with us. I'm sorry, but we must decline your signature. Please write more books and get on the Orthodox Speakers Bureau rotation." I think my comment stems from the difference between the title of the original statement ("'A Public Statement on Orthodox Deaconesses' by Concerned Clergy and Laity") and the title of this re-post ("Eminent clergy & theologians voice concern over deaconesses"). I would say the signatories as a whole are more accurately described as "Concerned Clergy and Laity" than "Eminent clergy & theologians". I'll concede: I think many are eminent. I make up the titles. So there you go. The document makes sense no matter who signs it. If it makes no sense the signatures don't either. Lots of examples of that. I can think of fair number of items on official websites of overseas patriarchates that do that on a weekly basis, unlike this item. The document makes no sense, as no local synods have protested against it. All the protests are in the form of ridiculousl flash mobs. I believe St. Nektarios of Pentapolis ordained several deaconesses. Of course, as I am fond of pointing out whenever the topic is raised, if deaconesses ever functioned as liturgical deacons in ancient times, the practice was circumscribed by the ancient canons that permit women to enter the altar only if they are virgins 40 years or older, or widows living in celibate chastity and 60 years or older. I have attended a service at a women's monastery in which a woman served in the altar in the role usually performed by an altar boy, so the relevant canons are still a live issue, despite the usual parish practice of no women entering the altar. The biggest problem with this text, and most modern criticism against deaconess, is that it is based on feelings. Some people are afraid that attempts of reviving deaconesses that way or another may be carried on by people who secretly do this to harm the Church. And they will do more harm, because that's what evil renovationists (or freemasons / illuminati / ecumenists / papists / pick your choice) do. An all that is because of some conspiracy and people who support deaconesses do not openly say, why they do that. Usually projecting allegedly analogical movements from other religions, that do not exactly have much in common with Orthodox deaconesses in its origins or implementation, but perfectly fill up the bigger theories. There are no canonical or theological arguments presented, especially, as those modern attempts seem to be rather preservative. It's easier to project some evil conspiracies and then fight against them. One would welcome a serious discussion about deaconesses, their various roles and types because that change with the flow of time and location (just as now there are 3 or 4 different things called "subdeacon" for example) but all we have it's projections an sentimentalism. Interesting to note the councils cited: "Several local councils prohibited their appointment (Nîmes in 396; Orange in 441; Epaone in 517; Orleans in 533)." None of these local western councils are part of the canonical tradition of the Orthodox Church as set forth at the Quinsext Council. The canons of ecumenical councils governing deaconesses would supersede that of any local councils anyway (Chalcedon 15, etc.) And the 1st Council of Orange (441), to take only one example, attended by only 17 bishops, also demands clerical celibacy - something that would undo the marriages of not a few of the signers. No need to discuss the document's numerous ad hominem attacks. And here may be the reason why it is relevant to note how many of the signatories are converts - there may be a not insignificant amount of Protestant-style proof texting involved. Also makes sense why an Old Calendarist is included, too. 1. They can't see deaconesses through historical Orthodox tradition. They see them as an analogy to untraditional happenings in their former religions and fear the same can happen in the Orthodox Church. The vast majority of cradle Orthodox are OK with that. 2. Some petitions, nailing theses to cathedral doors, protests - these are not the Orthodox ways of solving controversies. But they prefer them over canonical conciliar methods as they are not as audible. They may also understand that they have not enough support to do this the proper way. My first thought in reading this was, "Don't these people have bishops?" If they didn't get what they wanted there, don't they have primates or synods to appeal to? and assuming that didn't go the way they wanted, why didn't they write their letter to the Episcopal Assembly? I'll answer your questions with questions. 1. How do we know they haven't. I've certainly made my opinion clear to my bishop. 2. Can you name a single thing the Episcopal Assembly has accomplished? This letter didn't spring out of thin air or wild hair. There are letters by other groups as well as conferences and talks in support of a restored/novel female diaconate. I've even attended one. Imagine if someone had written this and published it anonymously or even by the pen of a single person. What would the immediate criticism be? Who is he to say such a thing? Well, the answer here is this is who they are and the number of cosignatories is growing. I would be far less concerned about this issue, if the proposal was merely to restore deaconesses to the role that they once had, but those pushing this issue have made it clear that this is not at all their intention. The problem is no one knows what all the roles of deaconesses were. Not even they can tell anything about how that rome changed over time. So that moves us to that nonsense of diacussing feelings, what you already started. Actually, we do know what deaconesses did, and didn't do. They did not serve as the female equivalent of a deacon, and that is what is being pushed. The push is also not to stick with monastic woman who are elderly as deaconesses either. They want women deacons, to be followed by women priests and bishops, and anyone who says they don't see it, is either not very bright or willfully ignorant. Don't forget evil, willfully malevolent. They might be that, too. Just because a girl knows the boy would like to go all the way doesn't mean she couldn't give him a kiss. Others' desire to go too far doesn't mean you can't go at all. People often dismiss slippy slope arguments, but slippy slopes often turn out to be exactly what happens. Remember it wasn't that long ago when the gay marriage debate was raging, and concerns as to what would follow were dismissed, and then what followed was the push to enshrine gender fluidity into law, and to punish all who would not play along. This is a slippery slope, and we have already seen it play out elsewhere. "Actually, we do know what deaconesses did, and didn't do." Granted this isn’t a hill I care to die on but, can someone remind me why female clergy would be the end of the world? Mike, we have canons, we have liturgical texts, we have Church history, and we have contemporaneous accounts of what deaconesses did. In none of them do you ever hear of a deaconess doing a litany, and carrying out the diskos at the Great Entrance. Daniel, if the Lord ever intended that we should have women clergy, would not his mother have been the first one? "Mike, we have canons, we have liturgical texts, we have Church history, and we have contemporaneous accounts of what deaconesses did." Then share them with us! Fr. John, Do you think that that might have been a culture bridge too far at the time? I tried to post this once, so if this is a duplicate, I apologize. The petition is not just about feelings. It clearly makes a historical argument. No one said the Council of Orange, etc., were authoritative for Orthodox. Rather, it is simply pointing out the complicated history of the subject. It's not just converts who signed, but it would not matter if it were the case. To suggest otherwise is ethnocentrism, a red herring, and nonsense. As a matter of fact, however, sometimes converts can see something coming-because of their past experience. One doesn't need to be a convert from the Episcopal church to see many people want the female diaconate as a stepping stone to the priesthood. They are very clear on this in their own writings. This petition is a response to a public statement by several liturgists. If they can make public statements, I cannot imagine those of us who have reservations cannot do likewise. 123 and others are saying "nothing to see here, this reform is nothing but an internal concern uninfluenced by secularism, the world, Protestantism, RCism, or anything else. You converts best remain in your place and keep your alien influences to yourselves, we got this." Jake, you're in the Ukrainian church, right? The local Ukrainian priest told me that it's his converts who favor keeping the Julian Calendar. I will take Fr. John Whiteford any day. His bishop is my bishop, Archbishop Peter. As a former Protestant Pastor, Fr. John knows error when he sees it! I'm sure those who have issues with his statements can contact the Archbishop.